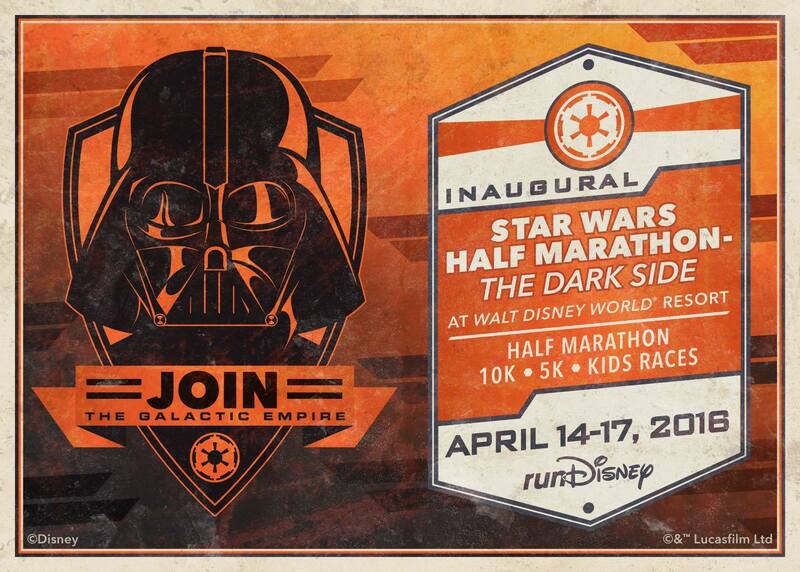 I cannot believe Star Wars Dark Side Half Marathon Weekend is next weekend. I am not at all prepared, trained or mentally ready for the two day Dark Side Challenge (10K Saturday, Half Marathon Sunday). The training part is no ones fault but my own. I have been very busy at work over the past few months and it's only going to get crazier. I need to get better at finding a work-life balance and making running a priority once again. #GOALS. Everyone and their brother keeps asking me what I am dressing up as for the Star Wars Dark Side Challenge. Truth be told, I was at a complete loss from the time I registered. I grew up watching Star Wars and know the story but am not what you would call a Star Wars fan. We did go see the new one on Christmas this past year and I fell in love with BB8 but did not want to wear a white or orange shirt so that outfit was out of the question. My friend Pamela designs adorable shirts for races so I decided on my outfit by going through her options and picked out what I thought was the cutest. 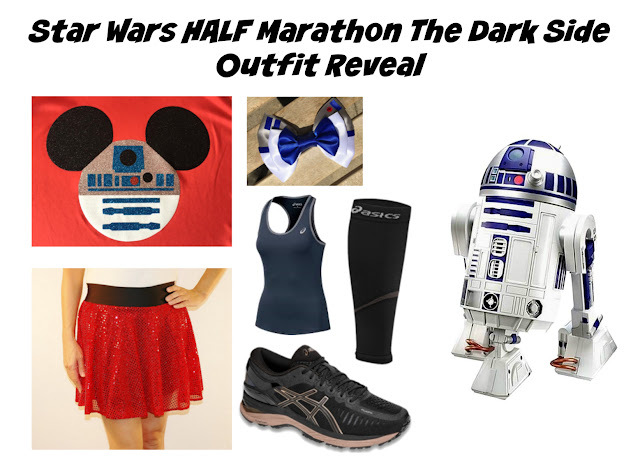 So without further ado, my runDisney Star Wars Half Marathon outfit is inspired by R2D2. I am very happy with my outfit. It's cute without being too over the top Star Wars (and trust me, there will be tons of that next week). 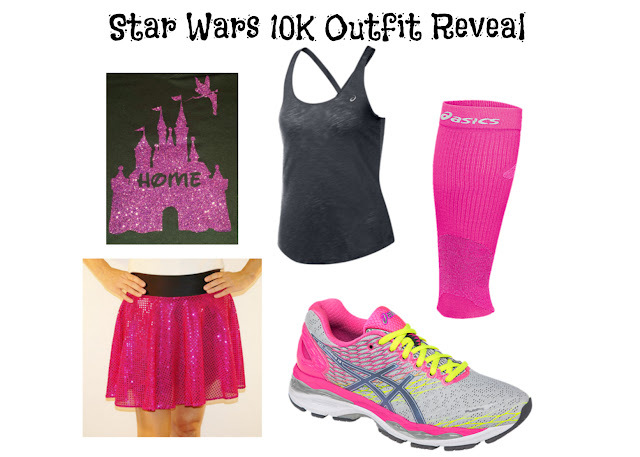 Deciding my Star Wars 10K outfit is a whole different story. I didn't want two days of Star Wars and wanted something I could wear again. After banging my head a few times, going back and forth with Pamela via text 100 times and trying to figure out what to wear on the first day of the Dark Side Challenge, it hit me.....get my favorite ASICS shirt (the slub tank) and have Pamela put the Magic Kingdom home design on it. I will wear this shirt a ton of times at the parks - so it is a dual purpose shirt! Hi! We are staying next door at Waldorf (Hilton was sold out!). Let's make a plan to meet up for sure!!!! !